Even though reports indicated the iPhone XS’ new Smart Battery Case doesn’t work with last year’s iPhone X, it seems that isn’t the case. The fit isn’t exact given the smartphone’s camera bump, speakers and mic are located in slightly different positions, but the iPhone XS’ Smart Battery Case is compatible with the iPhone X, according to various reports. Though MobileNation’s Rene Ritchie initially reported that the iPhone XS’ case doesn’t work with the iPhone X, he later followed up stating that it indeed is compatible with last year’s iPhone. Ritchie has since deleted his original tweet stating that the iPhone XS’ Smart Battery Case doesn’t work with the iPhone X. He says that the case fits the smartphone and all that needs to be done to get it to work is to swipe away the “This accessory is not supported by this device” notification. Interestingly, Apple told The Verge that the iPhone XS case doesn’t work with the iPhone X. Further, Apple says that the iPhone XS Smart Battery Case isn’t compatible with the iPhone X on its Support Page. Deleting tweet because iPhone XS/Max battery case *is* working for iPhone X for some people, but I’m getting inconsistent enough results with iOS 12.1.3 that it’s going to take some time to figure out exactly what works and what doesn’t. The iPhone XS Max and iPhone XS version of the Smart Battery Case is priced at $179 CAD and is available in White and Black. It doesn’t look like Apple currently has any plans to release colourful versions of its Smart Battery Case that match the XR’s vibrant hues. 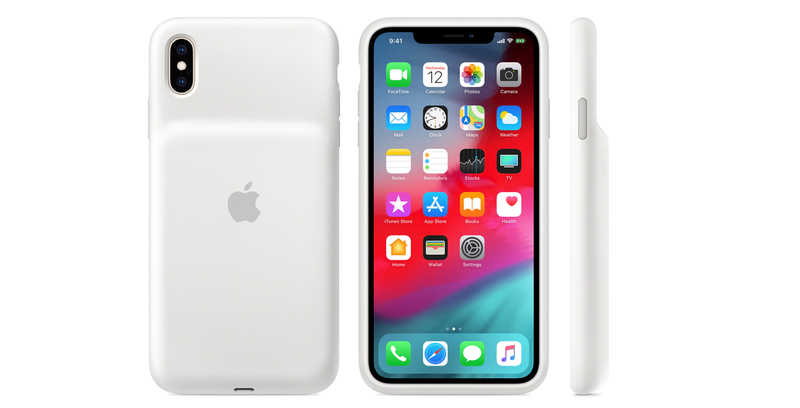 The iPhone XR Smart Battery Case also costs $179 CAD and is available in White and Black. The cases are currently available online through the Apple Store with delivery listed between January 25th and February 1st. In-store sale of the Smart Battery Case is set to launch on February 1st.